I have shared with you before that my husband has a bit of a binder clip addiction. To be fair, it is more of an addiction to all office supplies, but we have an excessive amount of binder clips in our house. We have every size and we have them in black, silver, and gold. We have had them for years and I can't seem to lost them fast enough, so I always love finding a good new use for them. 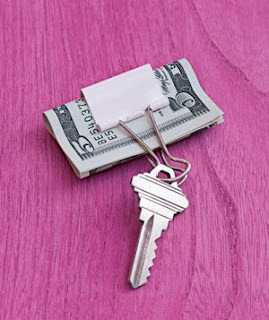 Real Simple had a great idea for a binder clip key chain. Perfect when you are going out for a walk or jog and don't have pockets! Just clip it on to your clothes! 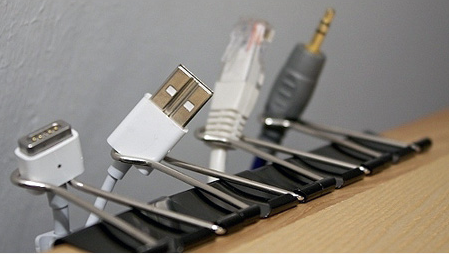 I shared this idea for cord organization back in 2010. My hubby still uses this idea on his nightstand to keep track of his iPhone charger. I am immediately going to grab three binder clips and using them as toothpaste clips for my kids after seeing this idea on Lifehacker. 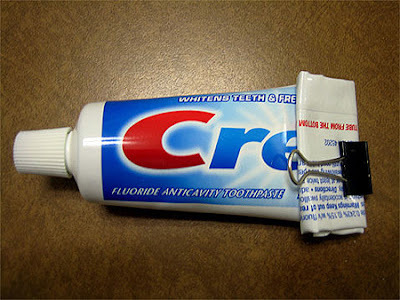 I also love this idea from Instructables for the kids too. 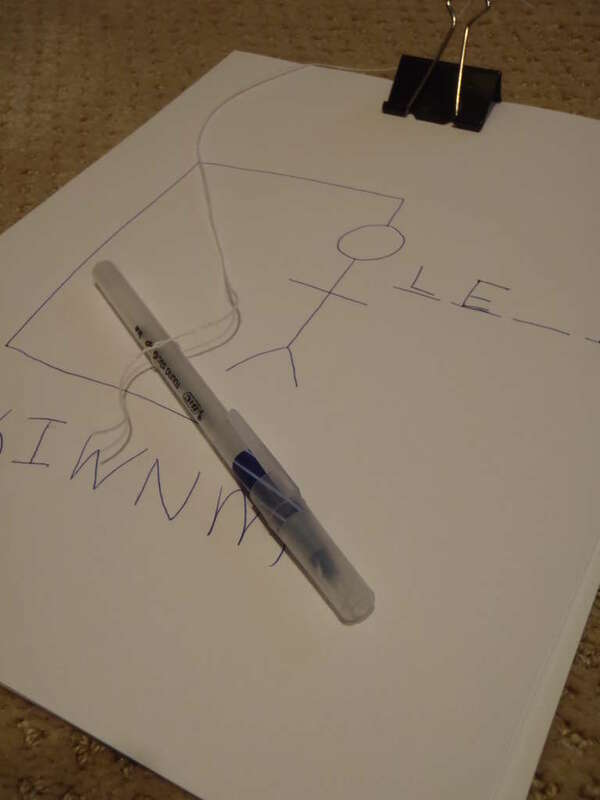 A DIY binder clip clipboard. The perfect way to keep track of paper and pens, especially on a road trip! 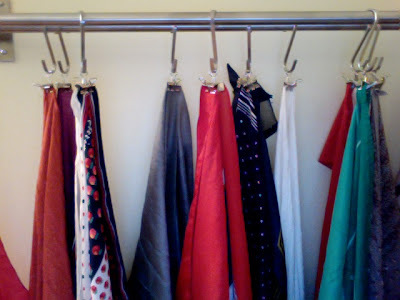 And with cooler weather heading this way, they can come in handy as a binder clip scarf organizer like this one from Driving Fast On Loose Gravel. Those are some neat ideas there!